In stock now for just £161.99 including VAT! Hurry while stocks last! 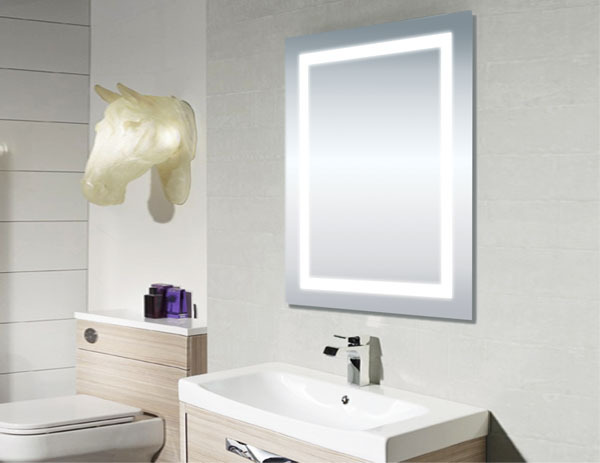 The Synergy Lunar LED Backlit Mirror is a stylish backlit bathroom mirror and is operated "hands free" using an infra-red switch situated on the right hand side of the mirror. The mirror also features a de-mister pad to stop the mirror steaming up in the humid atmosphere of a bathroom. The mirror is framed in aluminium - again, perfect for a humid environment.